Keep your company’s, or your own, personal documentation safe and secure with our on-site shredding services. Available five days a week, we handle the heavy lifting and secure disposal of confidential documents at your Braintree MA home or office location. When you’re ready to shred, simply contact our office for next-day service. Our friendly service staff is well-versed in the ins and outs of the document destruction process. They’ll explain how it works in detail, outline your options, and answer any questions you have. After helping you choose the right service, we’ll provide an honest quote and schedule the most convenient appointment based on your schedule. At A1 DATASHRED, we bring our services to you. Our systematic operations provide fast and efficient on-site paper shredding throughout the Braintree MA area. Our crew utilizes locked bins for building-to-truck transport, and each truck is fitted with cameras for optimal security. Additionally, the fleet is built with a viewing screen that allows you to see your paperwork destroyed as it happens. One-Time Shredding – Our purge service provides on-demand document destruction. This option provides the opportunity to schedule disposal when you need it, as you need it. Monitor your document shred accumulation, and when it’s time to shred, give us a call for next-day service. Scheduled Shredding – Our scheduled service caters to the needs of clients with frequent shredding needs. We’ll provide you with free disposal containers to be placed around your office, so you can deposit documents whenever you need to. Then we stop by to empty the containers based on your personalized business shredding schedule. Whether weekly, monthly, or somewhere in between, enjoy the convenience of regular document disposal without ever needing to make an appointment. Any document that contains personal or identifying information puts you at risk for identity theft. Fortunately, our professional residential shredding service keeps your information out of the wrong hands. All documents are kept under lock in the key from your home to the truck, which is located on-site. There, our professional staff will ensure immediate destruction of all paperwork before leaving the premises. Regardless of how many times you hit ‘delete’, confidential information is easily pulled from old hard drives. Our on-site hard drive destruction service provides peace of mind to residents and businesses through the total demolition of the hard drive. This process occurs at your location, so you can rest assured the information is gone for good. Don’t risk putting your private information in the hands of just anyone; instead, turn to our team of highly trained professionals. Our employees are easily recognized by their branded uniform and displayed photo identification. Every member of staff undergoes a full background check and drug screening upon hire as well as sporadically throughout the year. A mandatory confidentiality agreement and on-going training ensure all of your information is well-guarded by an honest, trustworthy team. Our commitment to quality shredding services is proven through our accolades.  At A1 DATASHRED, we’re proud to be AAA Certified. The National Association of Information Destruction uses the formidable recognition to highlight shredding companies that prioritize security with up-to-date training, state-of-the-art equipment, and the implementation of top-quality standards. Such traits are proven through regular audits and customer satisfaction. Our residential and business shredding services are designed to reduce your eco-footprint. All document disposal waste is carefully recycled. Together, we save 17 trees for every ton of shredding produced. If sustainability is a top priority for your home or business, turn to Time Shred for all of your paper shredding needs. The satisfaction of our customers is our top priority. Whether you have a small pile of paperwork or thousands of boxes of records, our fleet is ready to take on the challenge safely and securely. Request a quote for next-day shredding service by contacting our team today.